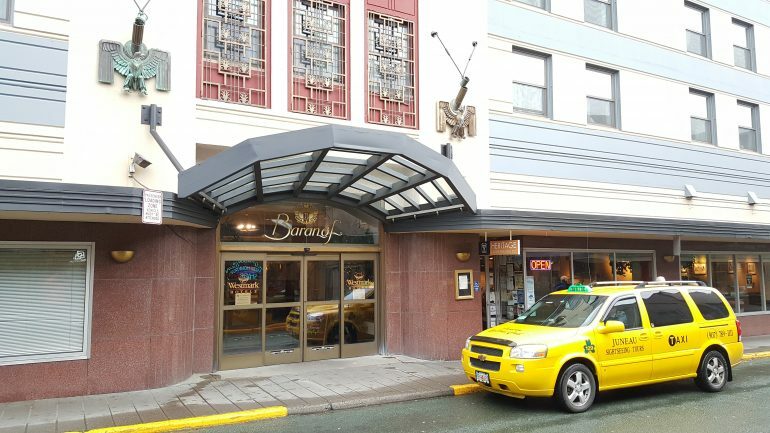 The historic Baranof Hotel, built in 1939, is conveniently located in downtown Juneau, right in the midst of its nightlife and shops. 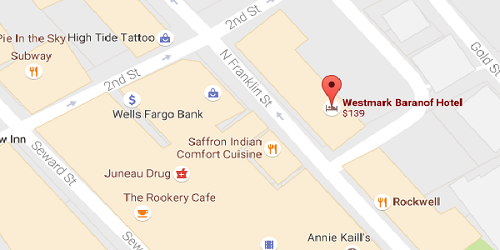 You will find the Baranof on Franklin Street and 2nd St. The hotel has nice decor that fits its history. My room was small but clean and the staff was friendly and helpful. However, a drawback is that its close proximity to the bars results in noisy nights for the weary traveler. There is a Heritage Coffee shop in the lobby which is valuable for your early morning fix. There is usually a few taxi cabs waiting out front 24 hours day and a great spot to catch a cab in town.